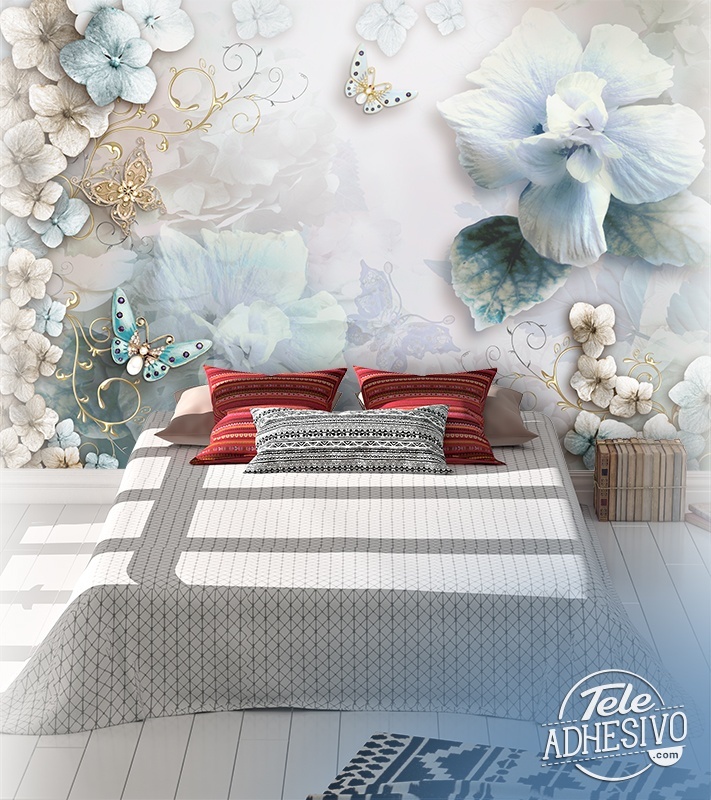 Wall mural Diamond flowers and butterflies. 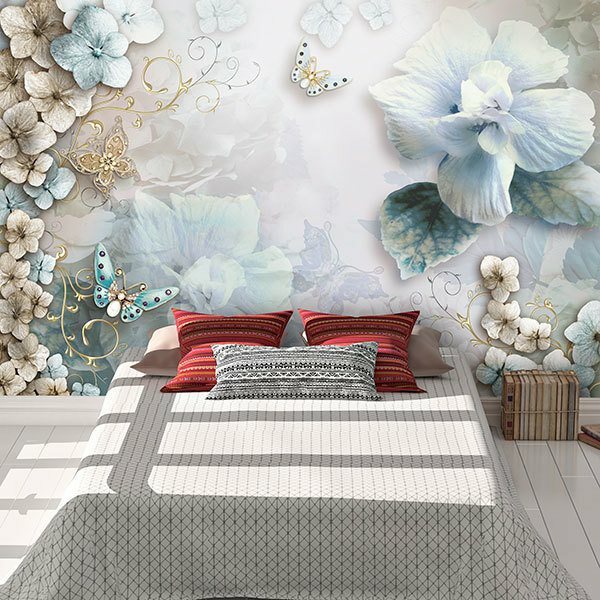 Elegant mural that mixes melted flowers and butterflies of bottom, in front a big flower along with other smaller ones. 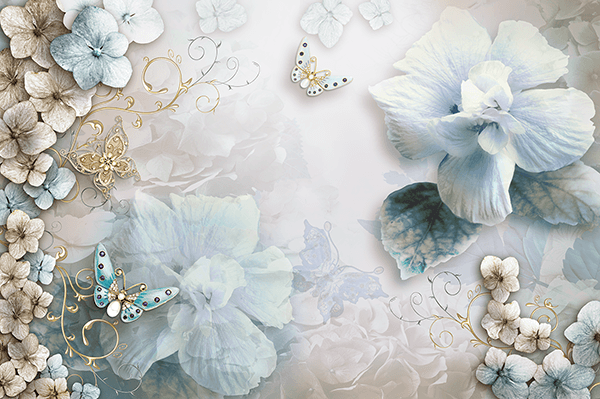 The butterflies that appear are made of gold and have inlaid diamonds. 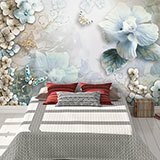 The leaves of the flowers are also made of gold.